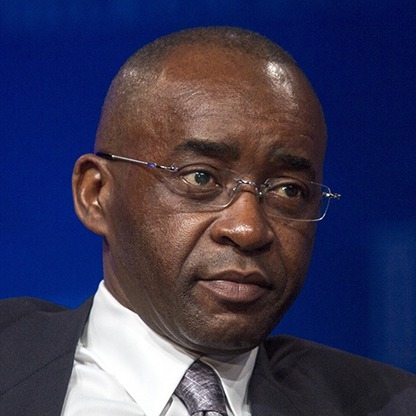 Strive Masiyiwa: Africaâ€™s game changer? “What is lacking in Africa are leaders who have compelling pictures of the future of their nations and the confidence to rally resources to realise the creation of the future the next great place.â€ Hannington Mubaiwa, my dear friend said that, and I agree with him whole heartedly. For a moment I am proud to be a Zimbabwean as I see other Zimbabweans think outside the box in order for us to change the narrative of Africa and what Africans can achieve. The recent announcement by Strive Masiyiwa of the pending launch of Kwese TV which is going be everywhere in Sub Saharan Africa, as the name suggests, is a breath of fresh air of something that has been long overdue. I sincerely hope that the content of the TV programming will excite and exceed expectations and that also it will be made deliberately affordable to most within Africa. I have always been saying that Africans must take ownership of their own narrative and not be masterminded by the West or by dictators. For far too long Africans have been net consumers of other peopleâ€™s ideas and products and it is time we occupy that space ourselves. Media remains an area that has psychologically disempowered Africans except maybe in Nigeria. We can only shape a new future for ourselves if we imagine it and we can only begin to imagine it when we experience a new reality of what is possible. It will be a pity, I think, for Kwese TV to avoid politics, especially political debate because our futures can only be shaped by continuous and honest debate of the social and economic challenges which face us-to me that is politics. We must imagineer a reinvented Africa at a new level and media has a central role to play in that process. Currently in Zimbabwe we are slaves to what other people imagine what we want to see and this has unfortunately given them the responsibility of creating a new narrative but that narrative is at most times to biased to Western ideas and culture with very little focus on who Africans are, what they want and what they imagine they can become. And so to Strive I say congratulations and please carry on and be the mad one to move us towards the future we desperately desire in Africa, and in Zimbabwe too of course. That future must be significantly different from the past but it will not come from old ideas and old ways of doing things. It will not come from old politics and old thinking of closed societies, but from creating new African societies that are open and who dare to dream big. All the best and salute!